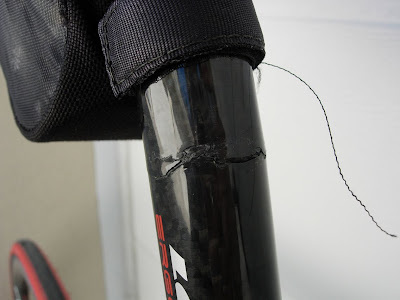 The brief story is my first Look seatpost broke after 2 years. The Look replacement (warranty) broke in 10 minutes at the exact same location. Look is scratching their head and generally not wanting to replace the replacement. For the record I weigh 165 lbs and ride a Look 585. 10 minutes has to be a record. 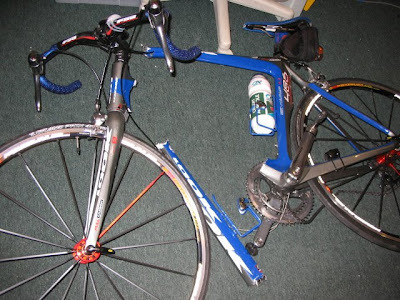 Plowed into a guy that crashed in front of me at a crit a few years back. Had the frame for 2 weeks. A mini van made an illegal left turn directly in front of me, I was going 26mph when I hit the windshield with my head. 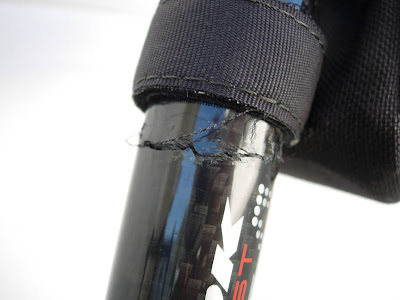 Over a Cozy Beehive, there was a photo and some analysis of a carbon fork failure. 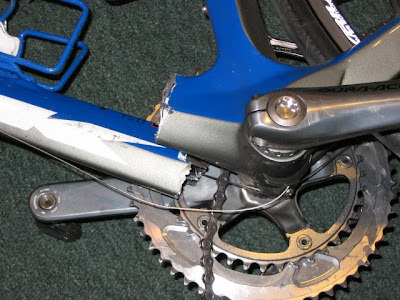 I had an accident in May where the actual blades suddenly failed. 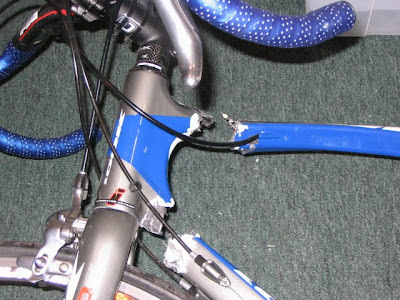 It was a bontrager carbon fiber fork. 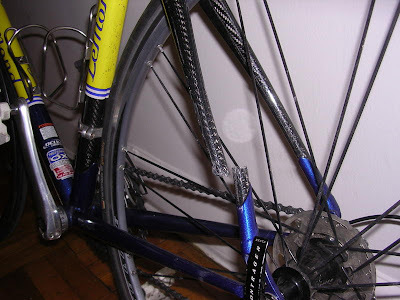 The bike was a friend's, and had been ridden quite a bit. It failed right as I got up to sprint. Nonetheless, it was on flat ground, and wasn't involved in a crash. 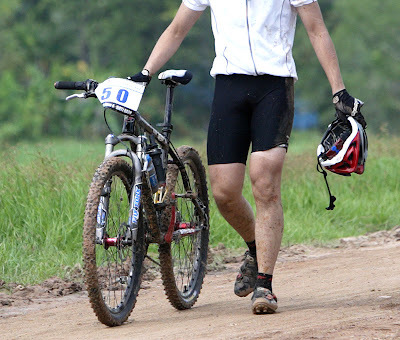 From a mountain bike race in Singapore. Less than 500m in to the race. You can't win if you don't finish.